Hold on to your hats, Transformers fans! Fathom Events is bringing Transformers: The Movie back to theatres across the United States for one night this coming September! Aside from a screening of the 1986 animated classic fully restored in HD, there will also be a sneak peak of the Bumblebee movie due out in theatres this December and interviews with famed rocker Stan Bush. Originally released on August 8th, 1986, Transformers: The Movie is set in 2005 and the war between the Autobots and Decepticons has culminated in the Decepticons conquering Cybertron. The film was much darker in tone than the animated series it was based upon, and featured the deaths of many key players across the shows multiple episodes - including Optimus Prime. 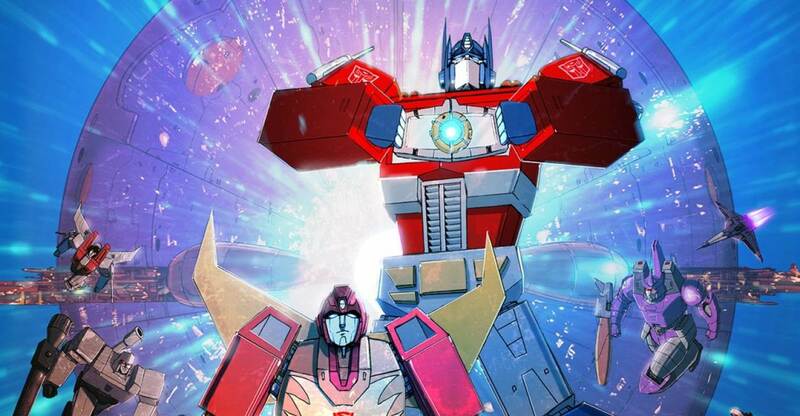 Numerous actors from the original cartoon returned to voice characters in the movie including Peter Cullen, Frank Welker, Gregg Berger, Dan Gilvezan and Michel Bell. Eric Idle, Robert Stack, Susan Blu, Neil Ross, Buster Jones and Leonard Nimoy also featured. While the film only grossed $5.8-Million during its box office run, Transformers: The Movie would go on to amass quite the cult following amongst fans over the next 30 years. The event is set for September 27th, and tickets go up for sale on August 3rd.